Grand Valley State University won their 10th NCDA National Title over the weekend. It was also their 6th-straight. Incredible accomplishments, to say the least. 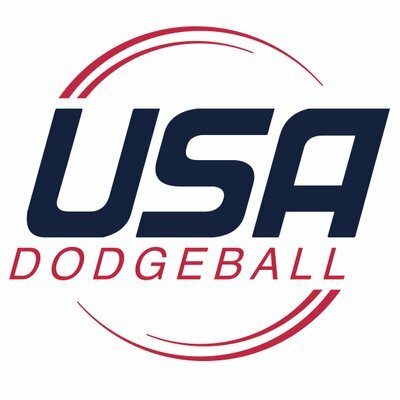 The unbelievable dominance of collegiate dodgeball by one school got us thinking: what if GVSU didn’t exist? What if Grand Valley wasn’t around to scoop up nearly every National Title the league has handed out? Who would be the National Champions then? Which NCDA schools would be the most decorated? 2005: GVSU was not yet in the league in 2005. Ohio State still takes the title that year. 2006: GVSU lost in the finals to OSU in 2006, so no change necessary. Ohio State takes 2-in-a-row. 2007: This was the first of Grand Valley’s 10 titles. They beat OSU in the finals, so OSU would’ve taken home the trophy without GVSU in attendance. 2008: While Delta College was a tough competitor with Grand Valley this season, I decided to still give the title to OSU, the team that faced off with GVSU in the championship match that year. 2009: Grand Valley beat SVSU in the title game this season. If GVSU wasn’t around, the Cardinals’ first championship season would’ve actually been 2009. 2010: Central Michigan beat GVSU at the MDC this year, halting a 41-game win-streak. GVSU got revenge in the National Title Game, but clearly CMU was the only other real competition this season. 2010 would’ve been CMU’s first title. 2011: Central Michigan was the best team this season. Without GVSU in the equation the title game wouldn’t have been nearly as exciting, but I digress. 2012: Really difficult choice here. SVSU won the title that year, after eliminating GVSU in the Final Four… BUT, the Lakers beat arguably the most athletic team in the country the round before that when they took down Central Michigan. Had GVSU not been in attendance, SVSU would’ve had to match up with CMU. That game would have been very interesting to watch, and the winner would have undoubtedly went on to win the title. In the end, I stuck with SVSU because their teamwork and strategy were very impressive throughout the entire tournament, not to mention, the Cardinals beat CMU at MDC earlier that year. 2013: Another tough one to call. James Madison lost to GVSU in the Quarterfinals that year, but had they advanced past that round, I believe the Final Four matchup between them and Kentucky would’ve determined the National Champion. Yes, Michigan State made the title game that year, but bottom line is they would’ve stood no chance against either JMU or UK. I give the win to the Dukes, as they were 1-0 vs. UK that season. 2014: SVSU was the only team to beat GVSU during the 2014 season. No other team stood a chance. Without the Lakers around, 2014 would’ve been Saginaw Valley’s 3rd National Title! 2015: This was the first year of the current 4-year streak of CMU vs. GVSU National Title Games. CMU took down the only other real contender (JMU) in the Final Four that year, proving that without GVSU, the Chippewas would’ve been the ones bringing home the trophy. 2016: Central Michigan was the deepest, most talented, and most experienced team in the country in 2016, but they lost a close one to GVSU in the title game. GVSU pulled off a miracle that year with a roster of mostly rookies, but had they not been around, this year’s championship was Central Michigan’s for the taking. 2017: Hear me out. Yes, Central Michigan was once again in the title game competing against GVSU in 2017, but GVSU faced a tougher test in the Final Four against Michigan State. The Spartans held a 2-0 lead on GVSU, but eventually fell in overtime. Without GVSU in the picture, I think MSU edges out CMU in the finals to earn their program’s 1st championship. 2018: This one is still obviously fresh in our minds. Central Michigan was the best team for the majority of the season. GVSU was the only team to take a victory over the Chippewas this season, so for that reason, CMU would’ve been celebrating their school’s 5th National Title in 2018 if GVSU did not exist. Thank you to former GVSU player Paul Hillebrand for giving me this Article Idea.